As settlers arrived and homes began springing up in Tell City, the task of putting out property fires, one of the most dreaded events in any community, was left to cooperative neighbors that would bring water to the fire from any nearby water pump, cistern, and rain barrel. The first cistern, created specifically for fighting fires, was built in 1859 at the corner of Main and Mozart streets. Fire Company No. 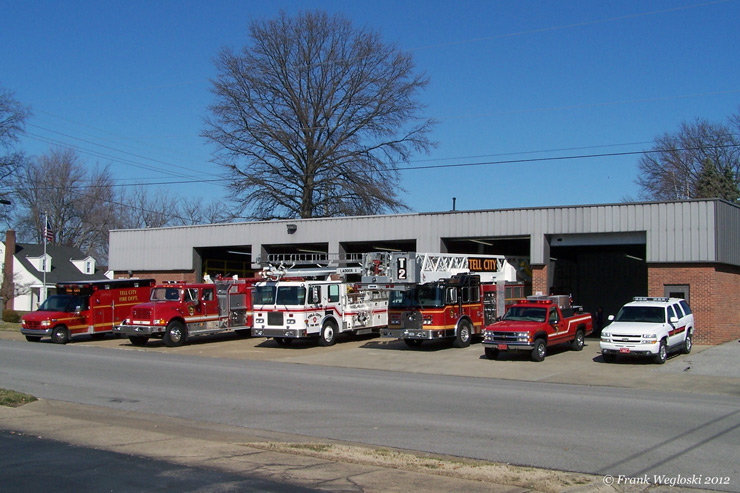 1 was formed in 1860 and, in 1868, Tell City’s first multi-site fire department was organized by citizens consisting of three companies. Then, on November 13, 1886, Ordinance No. 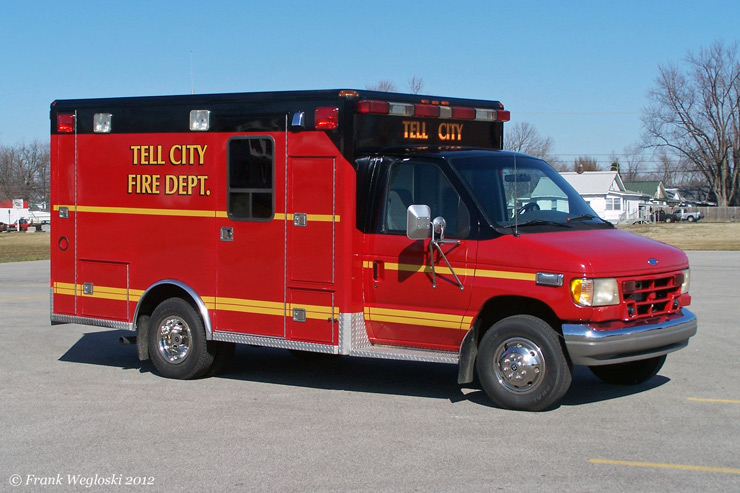 14 was passed by the town council, establishing and defining the specific duties of the Tell City Volunteer Fire Department. Today, under the direction of Fire Chief Greg Linne and Assistant Chief Steve Hauser, the volunteer fire department has 22 firemen and 6 reserves. 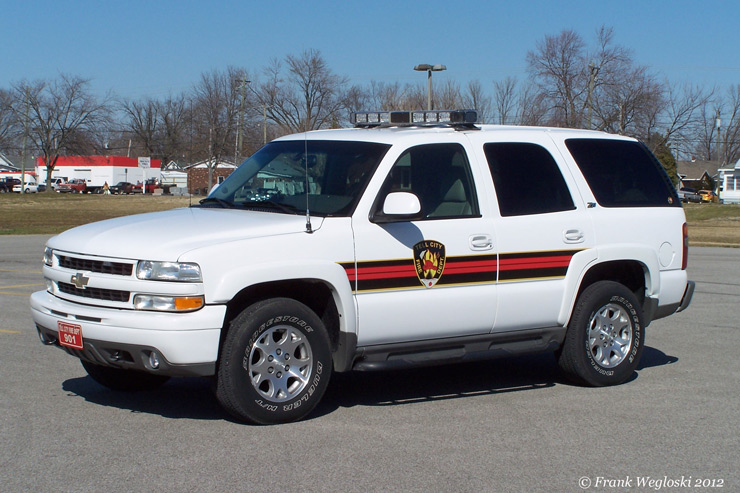 Each fireman must pass the Indiana Mandatory Firefighter certification requirements, along with undertaking additional on-going education activities. 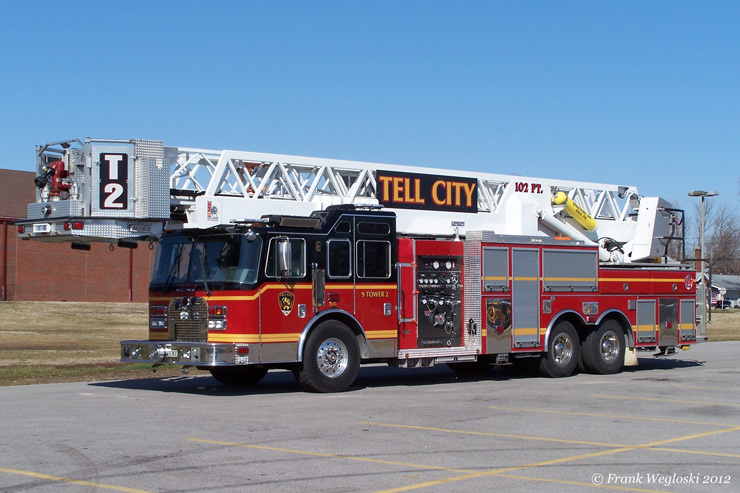 Not only is the fire department tasked with protecting the citizens of Tell City, it also fights fires throughout a portion of Troy Township outside city limits, and is committed to the Indiana Department of Natural Resources to assist in fighting brush and structure fires in Perry County. 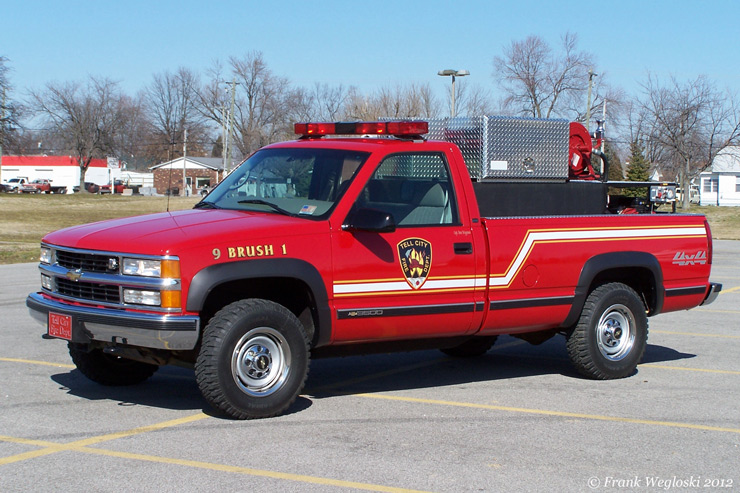 Fire trucks include a 102-foot ladder–platform truck with a 1,500 gallon per minute pump; a 2000 gallon pumper/tanker truck capable of putting out 1,000 gallons of water per minute; a pumper truck capable of putting out 1,250 gallons per minute; and a one-ton fire truck specifically designed for fighting brushfires with a 300-gallon tank.